Too much jogging may be as bad for you as not putting on your running shoes at all, a report in the Journal of the American College of Cardiology says. Analysing questionnaires filled out by all the people in the Danish study, scientists concluded the ideal pace was about 5mph (8km/h) and that it was best to jog no more than three times a week or for 2.5 hours in total. People who jogged more intensively - particularly those who jogged more than three times a week or at a pace of more than 7mph - were as likely to die as those who did no exercise. Scientists are not yet sure what is behind this trend - but they say changes to the heart during extreme exercise could contribute. Maureen Talbot, senior cardiac nurse at the British Heart Foundation, said: "This study shows that you don't have to run marathons to keep your heart healthy. "Light and moderate jogging was found to be more beneficial than being inactive or undertaking strenuous jogging, possibly adding years to your life. 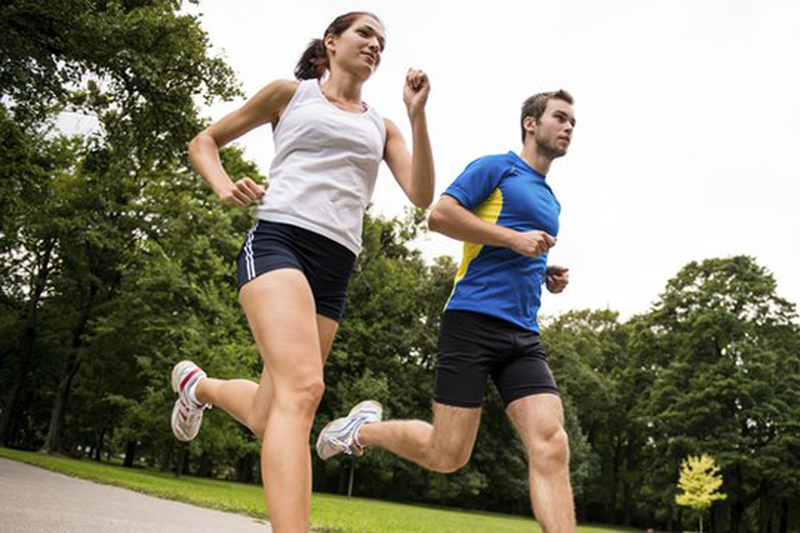 "National guidelines recommend we do 150 minutes of moderate-intensity activity a week. "It may sound like a lot, but even brisk walking is good exercise. And if you're bit of a couch potato, this is a good place to start."